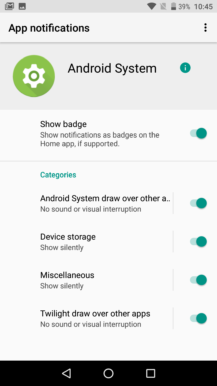 Android System notifications appear when you need to be alerted about some core feature of the OS. They might show up in the event of an OTA update or when a new storage device is connected. 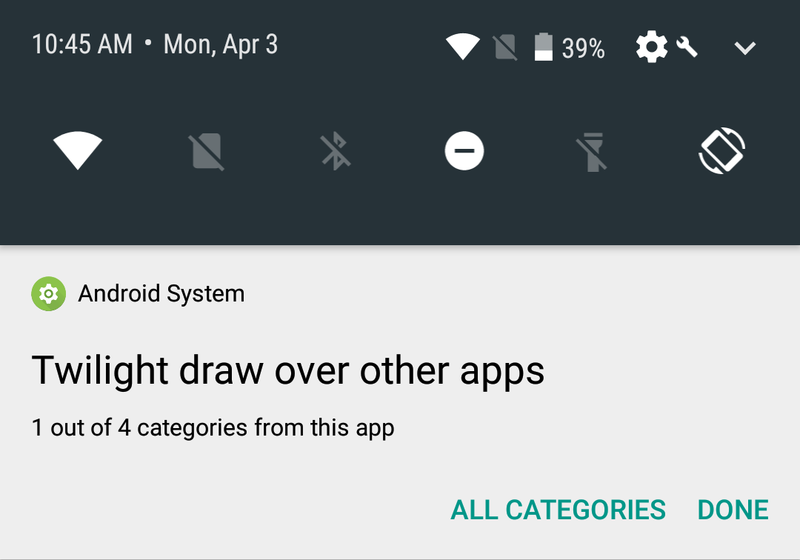 In the case of Android O, they also appear when an app is drawing on top of the screen. 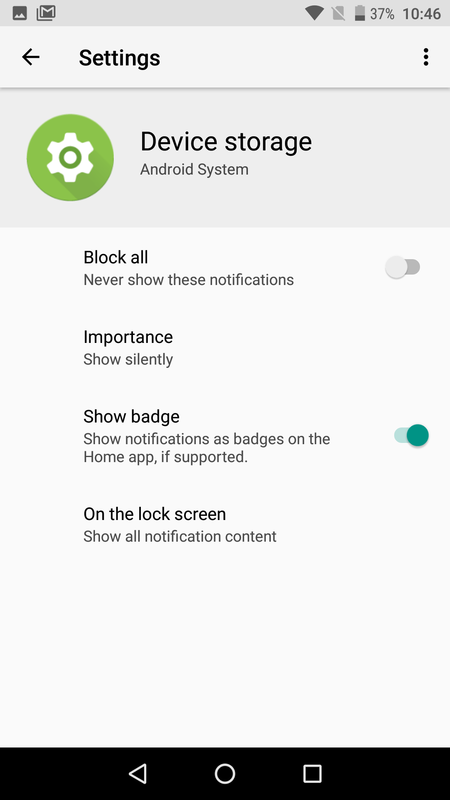 That's how we stumbled upon the use of notification channels in the preview. So, how does it work? 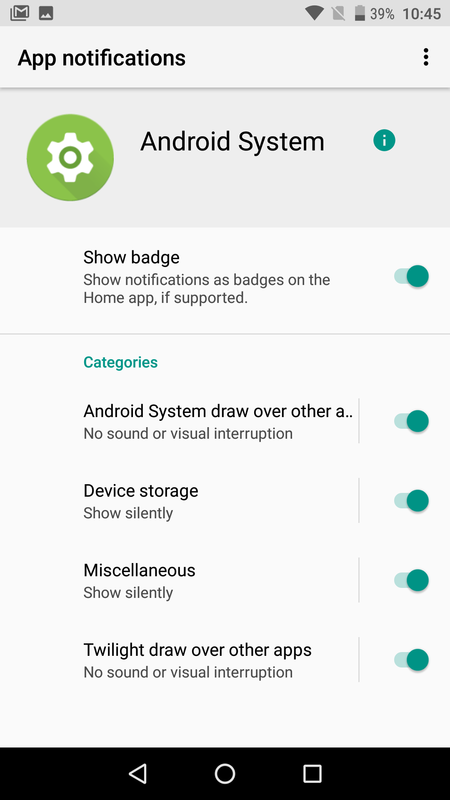 When you long-press on a notification, there's an option to see "All Categories." That takes you to the settings for that app where you can turn notifications on and off for each channel implemented by the developer. 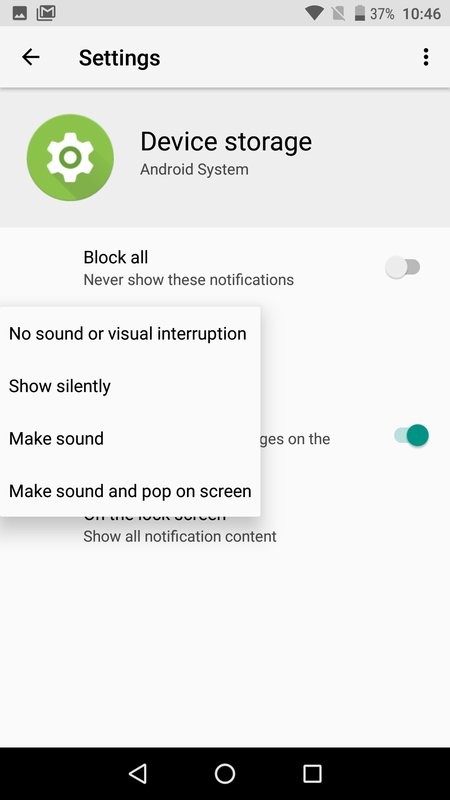 Additionally, you can make changes to the importance level of each channel or control whether they appear on the lock screen. 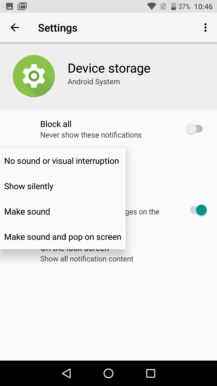 You can set one type of notification to make noise while all the others only appear silently, for example. This is something we'll see a lot more of when developers can start publishing apps targeted at Android O. That'll be rolled out in a future version of the developer preview.